IT’S clichéd, yes we know, but how many of us actually do our part to conserve the environment? Not all of us have to become the next Al Gore, travelling around the world giving talks about the state of the Earth, but there are many little tips from www.50waystohelp.com that we can do to help keep the Earth in good shape for a longer time. It’s a habit that very, very few Malaysians take seriously. 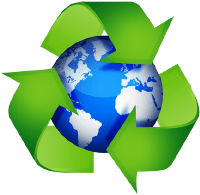 We happily throw recyclable bottles, cans, papers and boxes into the trash; filling up landfills with materials that can easily be recycled. There are various recycling centres in Kuala Lumpur that you can drop your recyclable waste at. Check out the recycling centre in Ikano (Mutiara Damansara) or the Recycling Centre in Damansara Jaya, for examples. You may even make a buck or two from your trash. In recent years, energy-saving light bulbs have fallen dramatically in price. The latest energy savers in the market are light-emitting diode or LED light bulbs which are becoming increasingly reliable and more widely available, but they are still pricey. These are quickly replacing incandescent light bulbs that use far more electricity and generate more heat. Many of us find it tedious to wait for our computers to power up every morning. However, turning off your computers at night adds up to quite a bit of energy saving. If you’re the impatient kind and don’t want waiting for the computer to power up, you can always download software that enables you to set the computer to power itself up minutes before you wake up. The tap running while you’re brushing your teeth? Well, you could potentially conserve up to 19 litres per day if you take a couple of seconds to turn the tap off before brushing. What with the threat of water rationing again, it’s one of the simplest things you can do to save water. Plastic bags. They not only clog up landfills, but also pollute the oceans and beaches. These bags are not biodegradable, and thus, stay in their original shapes for hundreds of years. Hundreds of marine animals each year die from ingesting plastic bags, or suffocating in them. The next time you go grocery shopping, bring a fabric bag instead — one you can wash and reuse however many times you like! This article first appeared in The Edge Financial Daily, on January 20, 2015.